"The only reason for mastering technique is to make sure the body does not prevent the soul from expressing itself." 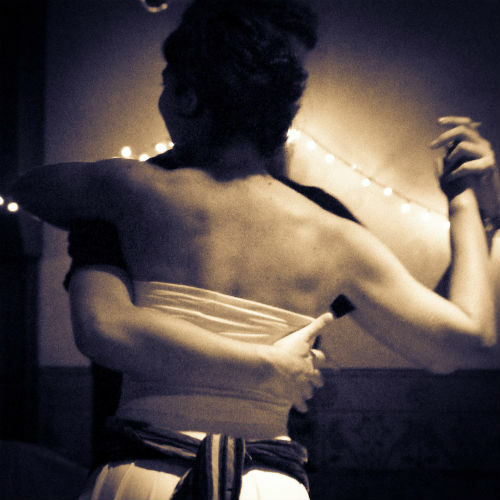 Delicious tango right here in Brattleboro since 2000, with friendly classes, practicas, milongas, and special events. The Brattleboro Tango Community delights in welcoming dancers of all shapes, colors & sizes, regardless of genders or role preferences. We look forward to dancing with you! Join the Brattleboro Tango Facebook group to get the latest news on Argentine Tango events in our community. Come as you are. No partner required. Soft-soled shoes or socks - no outdoor shoes please. Check tangomango.org for events in the region. For videos, vocabulary and notes from Jim's 2011 Tango course, please visit here.